A lot of super markets and big hotels use walk through metal detector at the entrances of it to keep a safety environment. In fact this kind of device is designed to provide an affordable and reliable solution to meet your security requirements. This equipment can be used in the hotels, super markets, factories, airports and many other places, where the prohibited articles need to be checked for safety. 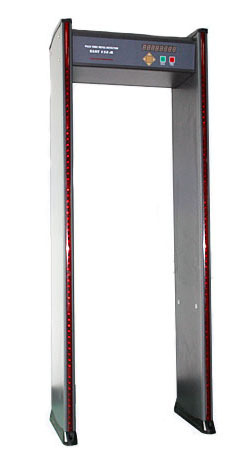 Since this walk through metal detector is designed very deluxe, it can represent the situation of a place or its owner. It can be used in a grand place such as many famous and brand hotels, and many other public places like grand theatres. In these situations it not only has the function of keeping safety but also represent people or the owner’s state. This walk through metal detector has the power guard function, it can give a warning when the unit loses power. It is easy to program, so that targeted objects, such as guns and knives, are consistently and accurately detected, while personal items such as keys, coins, belt buckles and eyeglasses can pass through without causing an alarm. 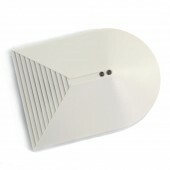 Since it is designed with high sensitivity, it can be adjust to a 100 sensitivity steps in separate floor level. The alarm time of it also can be adjusted. 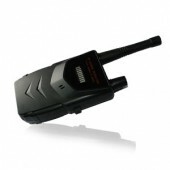 Besides it has a vertical lightbar, an audible and 6-zone visual alarm. The power supply is AC Power: 100-240 VAC/50-60 HZ, and the battery is 12V DC and it is optional, and the max consumption is 30(AC). And it can work normally from -10 °C to +55 °C. Another aspect of it is that you can manage and monitor network of group units. This Walk through Metal Detector also owns a password protection, and the password protects parameters from non-authorized operation. 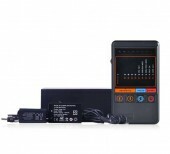 It meets the requirements set by international standards for human safety to electromagnetic fields. It is safe for all people including pregnant women. It is also safe for people using medical implanted devices like heart pacemakers. It does not have detrimental effects on magnetic recording material. If you are looking for a outdoor walk through metal detector this one is your best choice. Alarm: Audible and 6-zone visual alarm. 2X4 led alphanumeric traffic and alarm counters; multi-zone with led lightbar display. right balanced technology can prevent false or omitted alarming, which greatly enhance the capability of anti-interference. Amazing delivery ! Thank you. I am considering buying it again. Wonderful purchasing experience. I am considering buying it again. The design is just just as the same as I required. I am very satisfied. Awesome product! Great price and fast shipping!